Jacqueline Cutler: Jacqueline Cutler’s work in journalism began as a police reporter in Manhattan. Over the years, she has covered politics and government (local and a state capitol), education, worked on rewrite desks and investigated corruption. About 25 years ago, she switched from news to features and has covered television, theater and books for many print and online sites. She began as a book critic when her oldest daughter was 2 and had been warned she would never read a full book again. She prefers reading to just about anything else and has been known to read at baseball games, while walking, in planes, trains and cars and her proudest achievement as a mom is raising two serious readers. Married for decades to a film critic, she takes in rescue dogs, has an affinity for dead languages, the Yankees and will sing along to Ethel Merman if anyone asks. No one ever does. Sonali Dev: Award winning author, Sonali Dev, writes Bollywood-style love stories that let her explore issues faced by women around the world while still indulging her faith in a happily ever after. Her books have been on Library Journal, NPR, Washington Post, and Kirkus Best Books of the year lists. Shelf Awareness calls her “Not only one of the best but also one of the bravest romance novelists working today.” Sonali lives in Chicago with her very patient and often amused husband and two teens who demand both patience and humor, and the world’s most perfect dog. Find more at sonalidev.com. Deb Werksman: Deb Werksman has been at Sourcebooks for the past twenty years, before which she had her own publishing company. She is the editorial director of romance fiction and acquires single title romance in all subgenres. Sourcebooks publishes 6-8 romance titles per month, in print and ebook formats simultaneously. We are the country’s largest woman-owned independent publishing house. 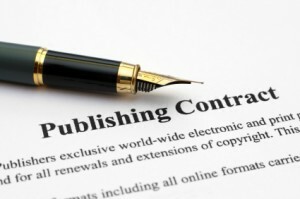 We’re known for our sales and marketing, as well as our focus on building authors’ careers. 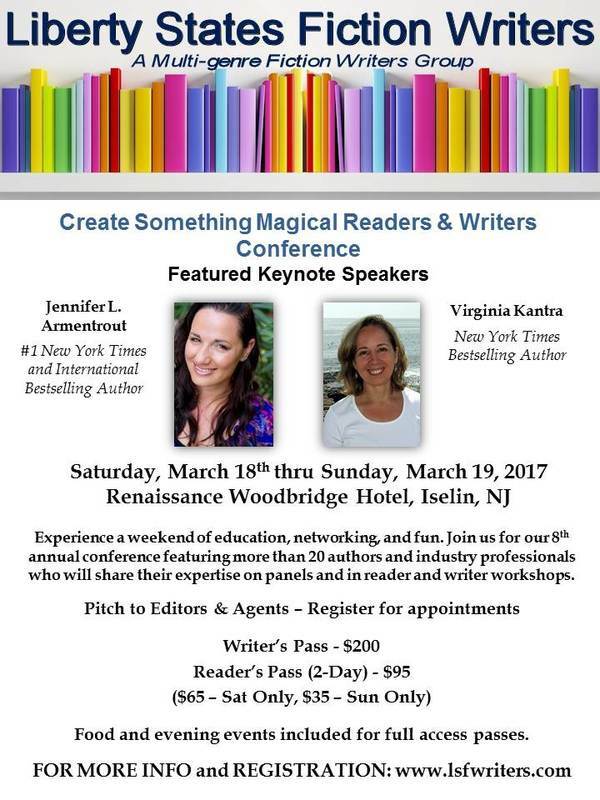 Liberty States Fiction Writer’s Annual Conference Registration is Open! Whether you’re indie published, traditionally published, not quite published, or simply love to read, we have something for you. 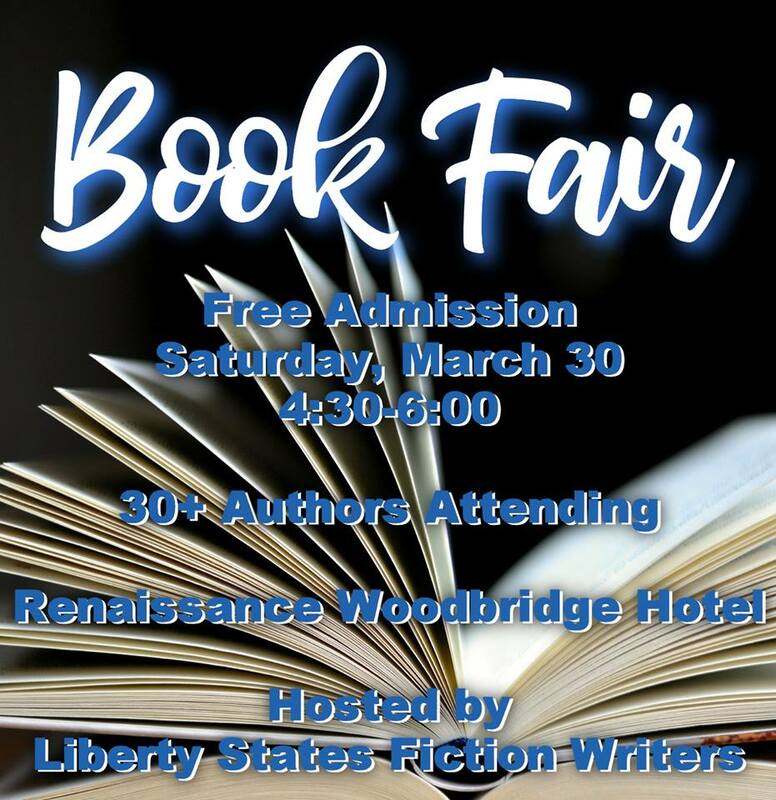 Join us for this exciting, fun, and informative event!The Liberty States Fiction Writers Conference features a line up of more then 20 authors and industry professionals who will share their expertise and experience. Located a in New Jersey, just a short train ride from New York City, we offer a weekend of education, networking, and fun in a relaxed setting. Love to read? Want to write? Join us March 30-31, 2019. For More Info go to Liberty State Fiction Writers Conference info. The bestest, most glorious Executive Board of any Writers Organization and Conference Ever! 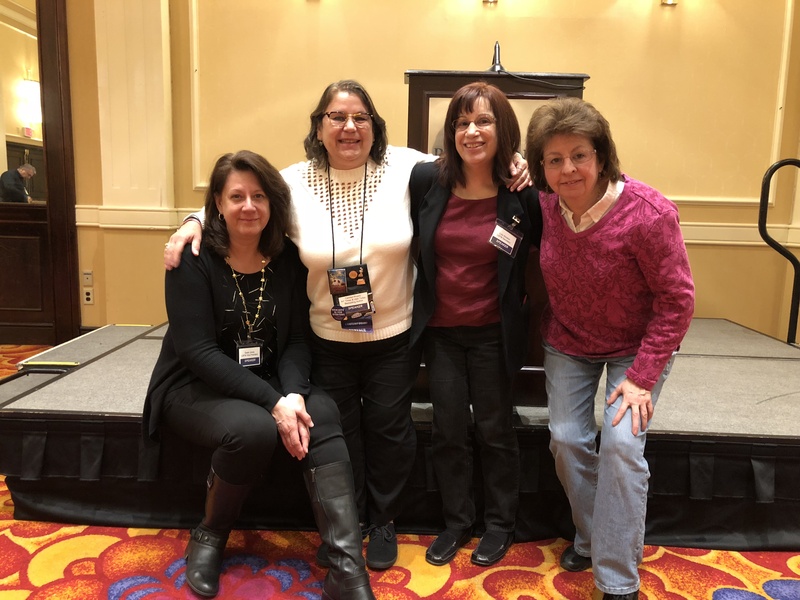 Which is moi, the Veep, Caridad Pinero, our Perfect President, Lois Winston, Secretary, and Linda Parisi, Treasurer, all of Liberty State Fiction Writers. HOO-WAH! Meet Writers! Editors and Agents in the Flesh! And there’s a bar, too! The bestest writers conference in the World! There’s still time to register! What are you waiting for? Editors and Agents! Live and In Person! Appointments will take place on Saturday, March 24, 2018. You must be registered for the conference writers track to be eligible for an appointment. They are assigned on a first come first serve basis, so be sure to register early. Don’t miss your chance to pitch your book to one of our exciting collection of industry professionals. See Liberty States Fiction Writers Conference page for more info. Want to Write? Love to Read? Mark Your Calendar for the 9th Annual Liberty States Fiction Writers Conference! Whether you’re indie published, traditionally published, not quite published, or simply love to read, we have something for you. Join us for this exciting, fun, and informative event! 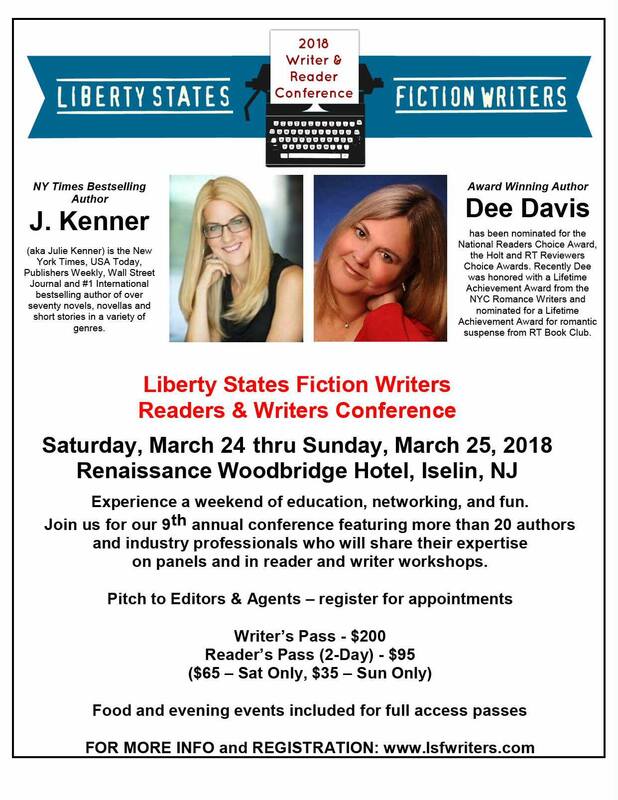 The Liberty States Fiction Writers Conference features a line up of more then 20 authors and industry professionals who will share their expertise and experience. Located a in New Jersey, just a short train ride from New York City, we offer a weekend of education, networking, and fun in a relaxed setting. Registration is now open. 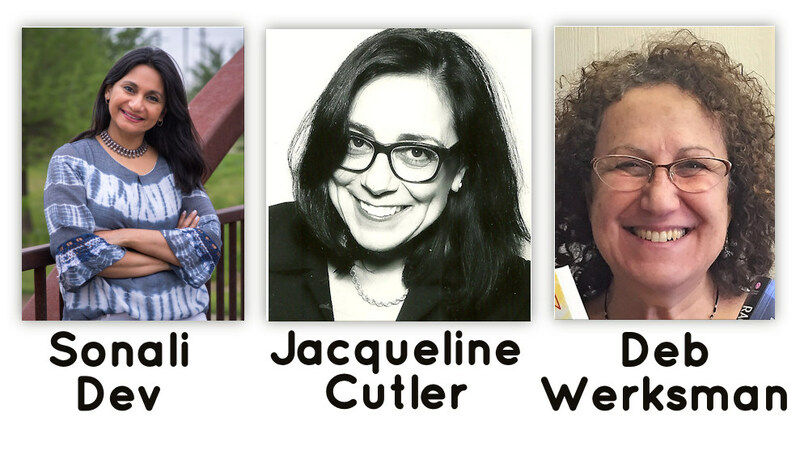 Go here for more information on workshops, editor/agent appointments, and guests. 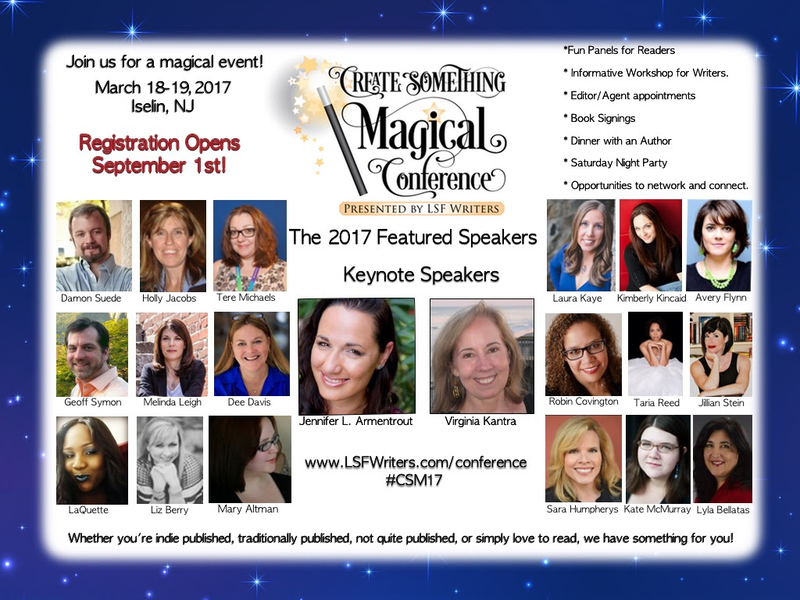 the 8th annual Create Something Magical Conference. 2017 for a magical event! See Liberty State Fiction Writers for more info!